My friend Joy is an astrologer. For 20 years Joy was in a soul mated relationship with a man named Larry who 'crossed over' in 1991. Since that time, Larry has come to 'speak' with Joy on many occasions allowing her to know that he guides her destiny. Larry is a very fun and humorous spirit! Recently Joy had an important personal decision to make. She called Larry and asked for his usual guidance. That night there was a full moon. At 5am the next morning, Joy was awakened by a very bright light streams through the side of her window shade. She went to the window, lifted the shade and looked out at the full moon. All she could think was, I have never seen a full moon this bright and large. It appeared to take up the whole sky and lit up her entire bedroom. Suddenly a streak of light came from the moon into her bedroom. In the middle of the light Joy saw Larry's face smiling at her with a great love. He nodded his head as if giving Joy his answer, "YES." The image disappeared after a few second. Spirit had spoken, Illusion projected. 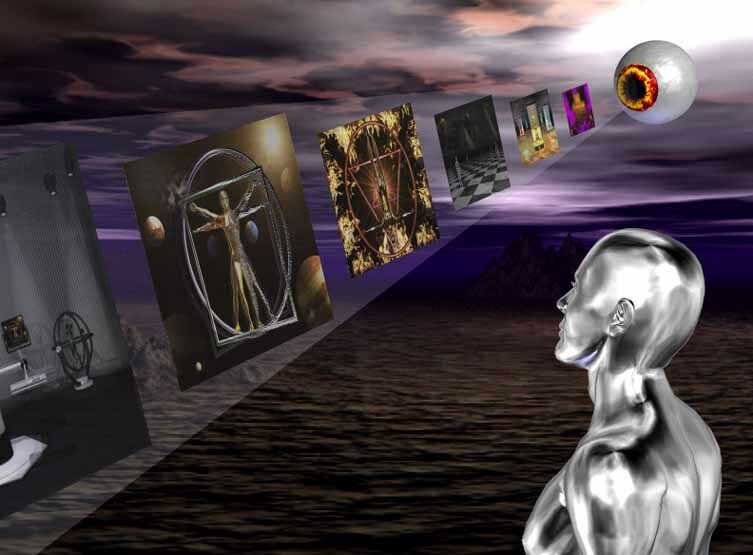 Cones, Pyramids of light energy, project images into the Collective Mind, Water, Grids. You attach your consciousness to the grids and experience the universe, university. much like frames on a film strip rather than real time motion.